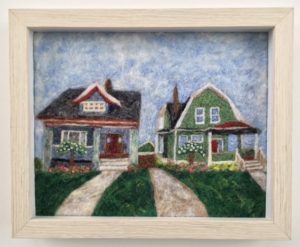 This is a felted painting of two homes next door to each other where neighbors became best friends over a number of years. One friend moved away and commissioned this as a gift for the other. When time allows, I can be commissioned to create needle felted home portraits.